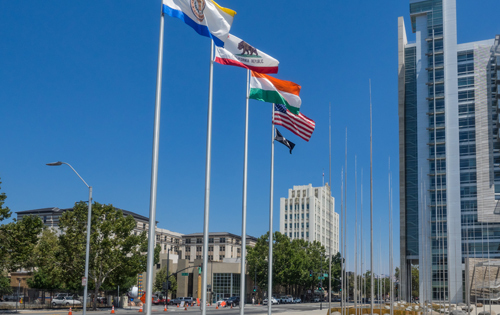 Situated inland from the Pacific Ocean and Yosemite National Park, San Jose lies in – and is known as the capital of – the famed Silicon Valley. Positioned in Hardiness Zones 9b and 10a, San Jose, California has a Mediterranean climate with temperatures averaging 50 ℉ through the winter months and 70 ℉ during summertime. The City of San Jose boasts nearly 16,000 acres of parks with beautiful trees and wildlife. San Jose has established a detailed and strict tree ordinance which protects its street, heritage, and ordinance-sized trees. Following is an excerpt from www.treeremovalpermit.com/california/san-jose-ordinance-permit-city-arborist/ covering the San Jose, CA tree removal permit process and regulations. Color photograph of each tree (showing the entire tree) printed on 8.5” X 11” paper. After review, City staff may require an arborist report. If you have already acquired one, it may be included with your submission. The chart below lists tree removal fees (which are accurate as of our publishing date). The fees below are subject to adjustment by the City of San Jose at any time. Should you need assistance calculating the total estimated fees, you may consult a planner by calling (408) 535-3555. No appointment is necessary. Bring the application, site plan, photographs, and arborist report (if needed) to the Permit Center Assistance Desk; be prepared to pay the respective fee if applicable. NOTE: 2 days before removing a tree or having a stump removed, it is recommended to call 811. This free call will notify local utility companies that you intend to dig. They will come to your project site and mark any existing underground lines. The marks remain valid for a period of 28 days. The City of San Jose’s Department of Transportation, Planning Division, and City Arborist Department work in tandem to oversee and maintain the City’s urban forest. Below is the contact information for each department.